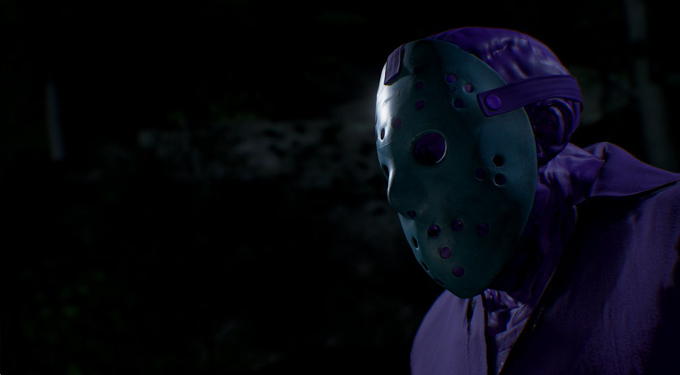 Everyone who owns Friday The 13th: The Game can now play as the purple Jason Voorhees first seen way back in 1988 in Nintendo's misunderstood Friday The 13th game. The Nintendo game has endured decades of scrutiny, but a recent resurgence over the past five years has brought this once collectively reviled game back into the good graces of fans. One of our readers even went as far as to create a Nintendo Strategy Guide for the game! Of course, there has also been the awesome NES inspired NECA figure and a slew of fan films throughout the past couple of years that have cemented the cult status of the 8-bit Jason. In a fitting reveal, Gun Media has added Nintendo Jason as a playable skin for yet another homage to the enormous fandom we all have for the franchise. There has been some confusion, however, as how to play as NES Jason, which we will break down for our readers. The 8-bit Jason is not an additional Jason character to choose, but an additional skin to add onto the Part 3 Jason. Just swipe to the right with the toggle stick when you are on the Part 3 Jason and voilà, it's Nintendo Jason time. As an added bonus with the purple Jason, a new retro music track echoing the sounds of the original Nintendo game was created. This new music was made by Mitch Murder and can be heard in the game as a counselor being chased by NES Jason! The song can be heard below. What do you think of this music? It's all sorts of nostalgic groovy.